How are you all, hope you are all wrapped up warm from the cold blistery wind. I bought some leg warmers today, they bought back memories! This is a card and bag collection Tracey made for the craft fair. 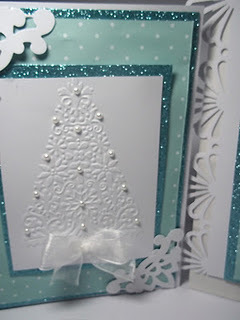 Tracey has used some gorgeous embossing folders for the Christmas tree designs from Papermania and Cuttlebug, embellished with pearls and white organza ribbon from Meiflower. Wanted to show you all these gorgeous new red mixed pearls which I absolutely love. 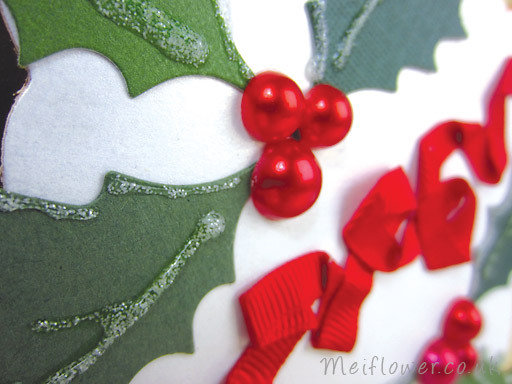 I find it hard to buy bigger size red pearls, so these pearls are ideal as berries for holly cards and because they come in different sizes they look more realistic when you mix them up. Also if you look closely you’ll see that they have a beautiful sheen to them much better than a simple matt finish. This week we have a fantastic offer on these, SAVE OVER 30% on mixed size red self adhesive pearls. 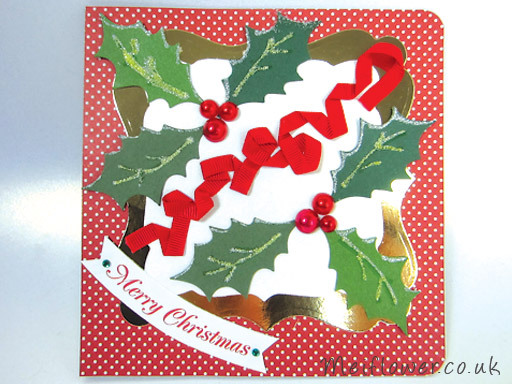 I had this Christmas card idea in my mind over the weekend, so I have managed to find time today to make the card. 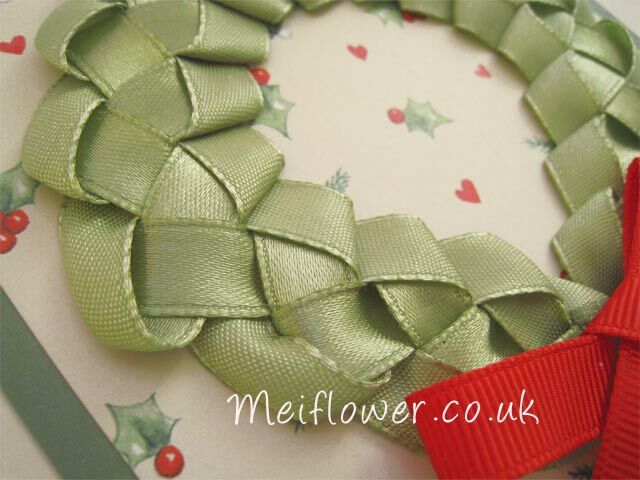 I bought a Sizzix Die from Craftbug to make my holly leaves, it also comes with a pretty swirl pattern as well. 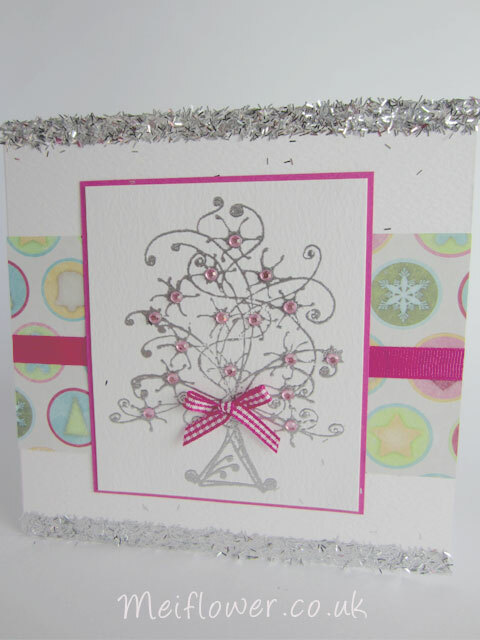 The design is called Sizzix Bigz Die – Flourish, Holly & Mistletoe. Instead of using all the same size pearls I’ve used different sized self adhesive red pearls to give a much better and realistic effect. The ribbon I’ve used is red grosgrain ribbon which is 7mm wide I’ve stuck the ribbon down randomly to create a nice pattern. I’ve stuck some small green stick on gems on either end of my ‘Merry Christmas’ banner I think it finishes it off really nice. 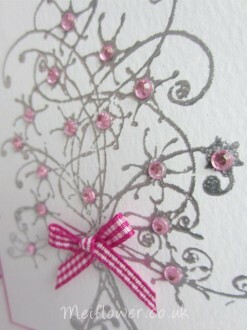 We have a special offer on crystal blossom sequins this week. 30% off . I’m using the iridescent sequins today because they are my favourite sequins to use, so versatile, I use them on wedding cards, birthday cards, Christmas cards, baby cards. I’ve also got a great idea on how to use the sequins on Christmas baubles, but at the moment the idea is just simmering away in my craft laboratory . . . so watch this space! I used the sequins as a border around my sentiment, I love the effect the iridescent sequins give when you stick them onto a coloured background, they’re like little chameleons they just seem to pick up any colour. 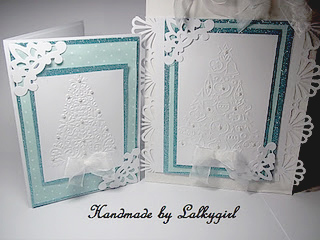 On some cards that i make they remind me of small bubbles. 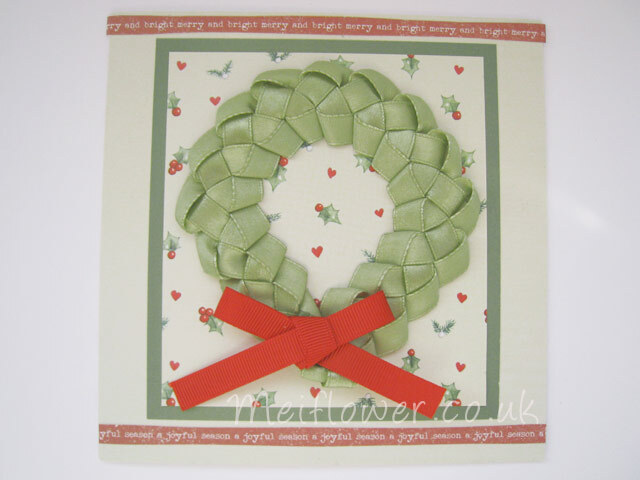 I have used a 6×6 square card and covered the front with a free Christmas paper from a craft magazine. The scalloped aperture was cut out using a nestabilities die. 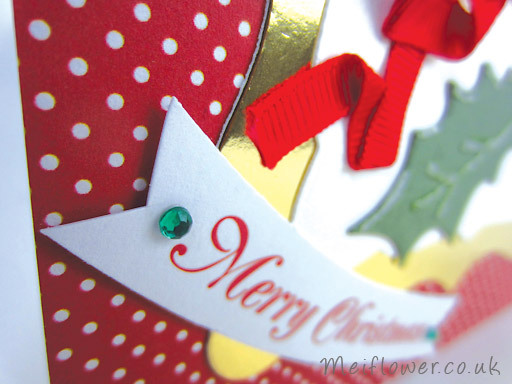 I have finished off the card with matching turquoise polka dot ribbon. Behind the aperture, I have used acetate to create a window effect. 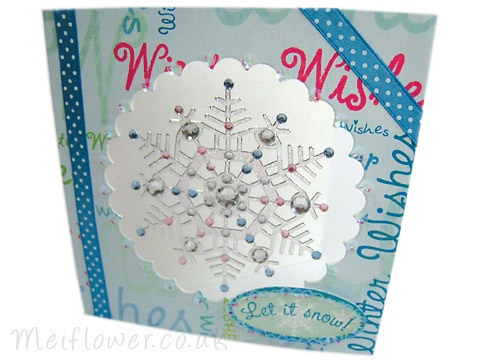 I then stuck this snowflake peel off on which i bought from the Stamperama Craft show at Stevenage a few weeks ago. 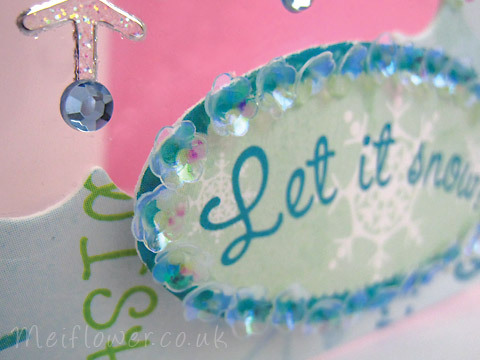 I’ve then used sticky gems to bling up the snowflake, using a mixture of colours including light blue gems, pink gems and a selection of clear gems from a pack of mixed sized clear gems. I think the colours go really well together . . . bling . . bling !